The 3rd Annual Rochester Mile is being run with the wildly popular professional bicycle race held in Rochester New York! 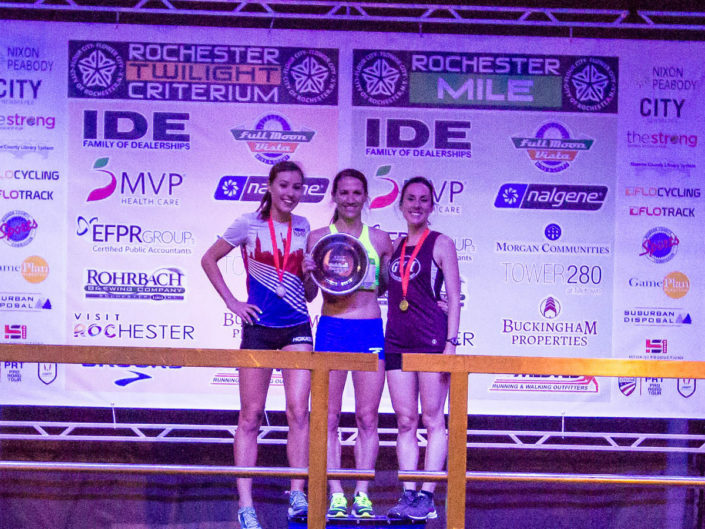 Save the date for Saturday, May 11th to either come down and race or witness the racing action – buckle in for an exciting evening at The Rochester Mile! 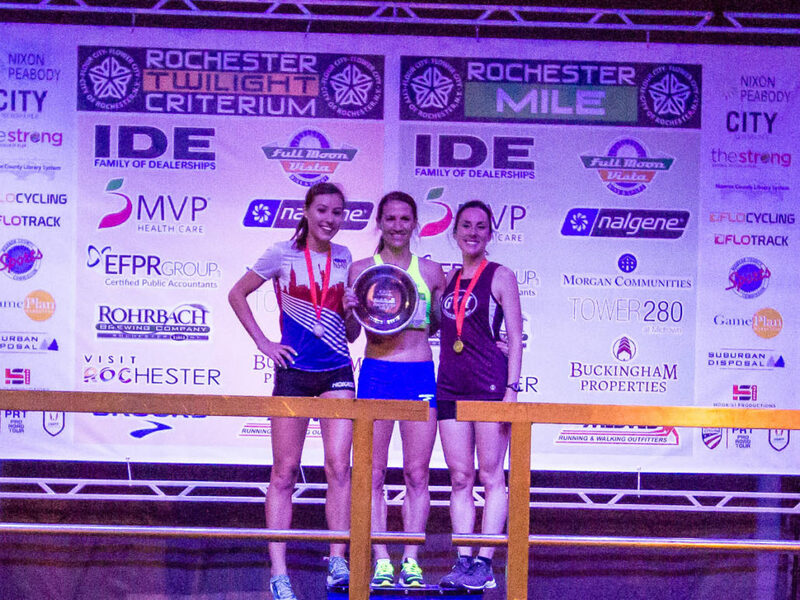 Just like the Criterium, elite athletes in The Rochester Mile will compete in a 1-mile race. 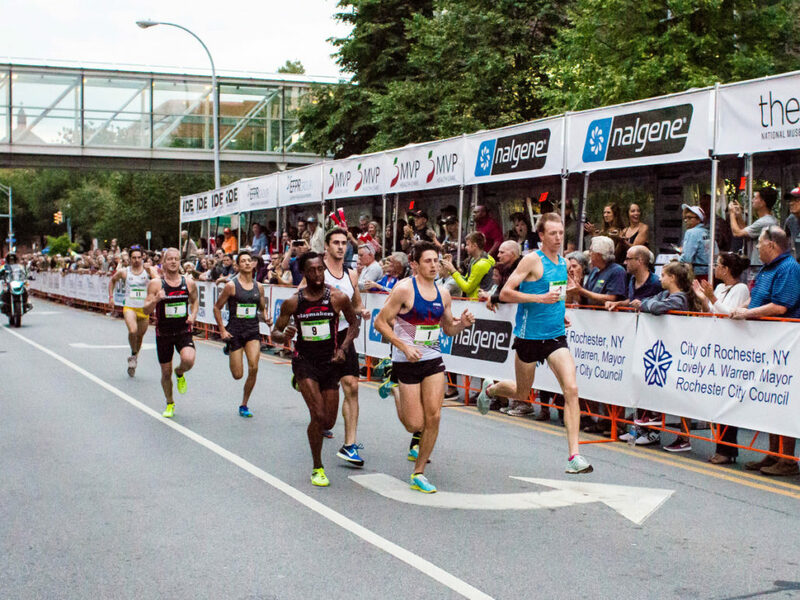 These race will be on the same course that the cyclists use with the highlight of the evening being the Elite Women’s race (with a purse of $2500) and an Elite Men’s race (also with a purse of $2500). 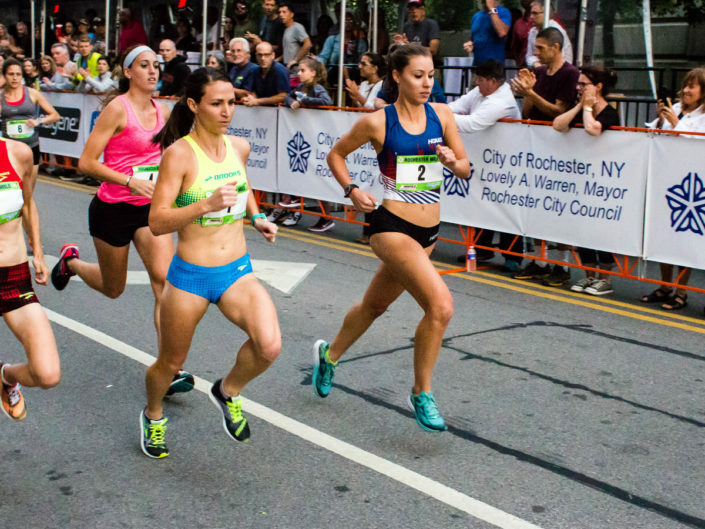 Come see some of the fastest runners in the Northeast compete on the streets of the City of Rochester! 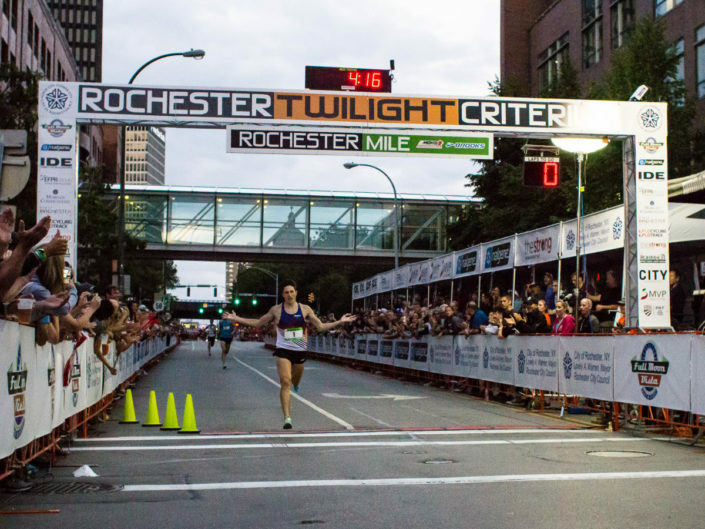 The Rochester Mile will be held on the same course that the cyclists use. The course will start and finish on East Broad Street. There are 9 corners on the course, a slight downhill after the start and an uphill just bast the half mile point. The course is wide and fairly smooth for a City street. All runners will complete 1 complete lap of the course with the finish roughly 100 meters past the start line (please note that the start line is NOT the finish line- you have to pass over it because the course is .95 mile in length, hence the extra 100 meters). There are 500M, 300M, 200M, 100M and 50M to-go markers on the course. Men’s amateur: No Qualifying Time Required! Women’s Amateur: No Qualifying Time Required! Equivalent 1500 meter and 1600 meter times will be accepted. Qualifying times must be run on or after June 1, 2018. A link to the qualifying race results must be submitted to Mort Nace at mnaceiii@yahoo.com.